Use these knives to mix and apply even the thickest media, and manipulate texture with ease - the springy blade practically sings as you work! 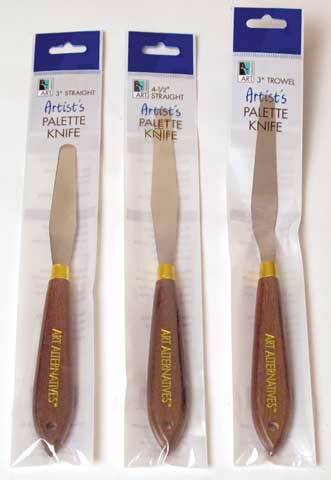 Artist palette knives are also useful for scraping and cleaning up unused paint after a painting session. Each knife features a flexible, solvent-compatible steel blade and a solid, hardwood handle with brass ferrule.